D-link has announced a new range of WiFi routers at this years CES, and the top model, the D-Link AC3500, comes with ultra fast speeds up to 5.3 Gbps, and the D-Link AC3200 comes with an interesting design. The D-Link AC3200 features 802.11ac tri-band WiFi, and speeds of between 3.1 Gbps and 5.3 Gbps for the high end model, have a look at the video below. 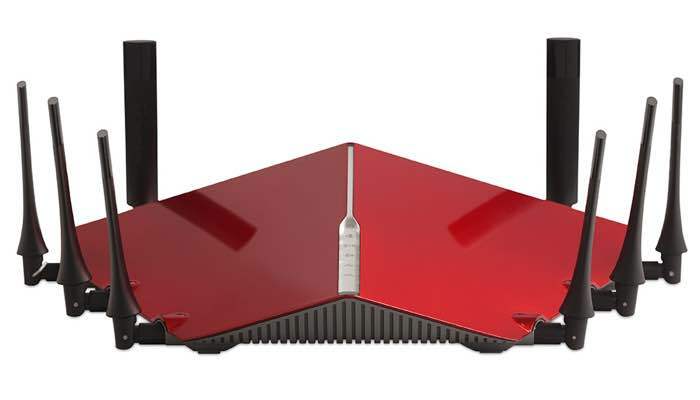 The AC3200 Ultra Wi-Fi Router (DIR-890L) is built to give you a ridiculously fast home network. With Smarter Bandwidth, Advanced AC SmartBeam, Tir-Band Wi-Fi and a 1GHz Dual Core Processor it’s everything you want and need for HD streaming and gaming. The company also announced a new options AC1900 WiFi USB adapter that will bring 802.11ac WiFi to your laptop if it doesn’t already support it. D-Link also announced a range of other new devices at CES, including more PowerLine HomePlug Kits that offer speeds of up to 2Gbps. The D-Link AC3200 is launching in the US shortly, and it will retail for $310, the rest of the models will launch before the end of quarter one.